Seasons are changing, and waves are crashing, all for us. 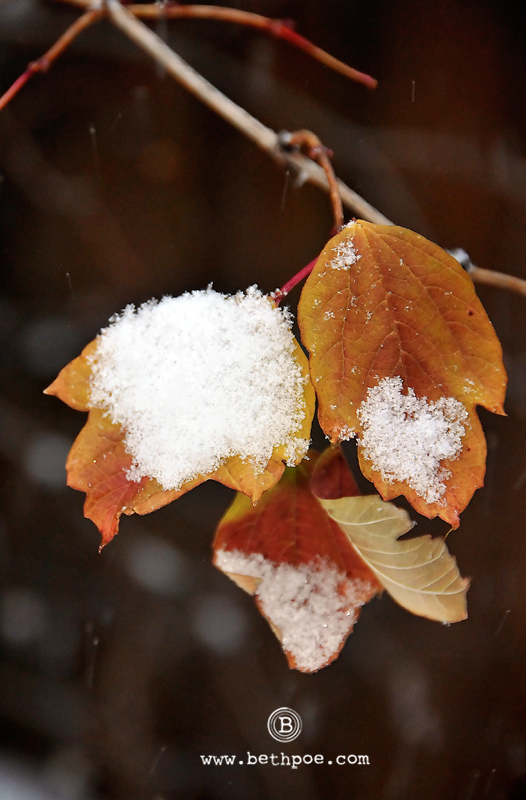 After a warm and sunny start to the week, we awoke to snow and cold this morning. How amazing it is to fall asleep with the world looking a certain way, only to find everything transformed in the morning. This sudden change in the weather makes me realize how thankful I am for the four seasons. Those of us who get to experience all four seasons are so fortunate to have front row seats to Mother Nature’s constantly changing performances.